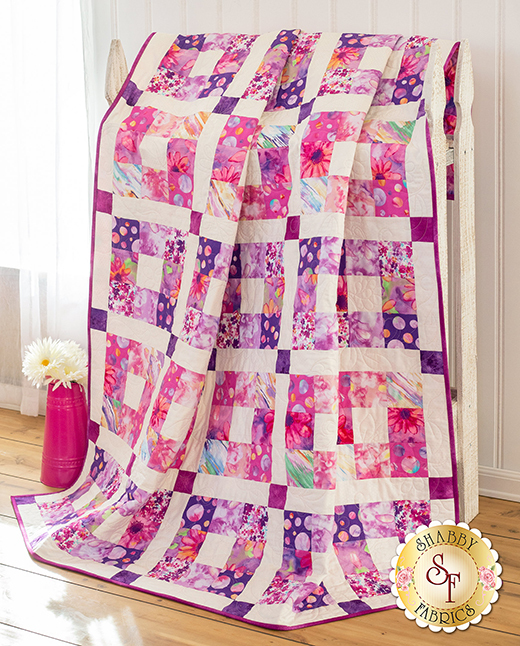 This Pink Boxed In Quilt designed by Jennifer Bosworth of Shabby Fabrics, The Tutorial is available for free. Learn how to make this beginner-friendly quilt using simple strip-piecing. This quilt features the Color Calypso Collection from Benartex. Jen teaches you to cut your strips, layout your pieces, and shows you how to nest your seams for a beautiful finish.